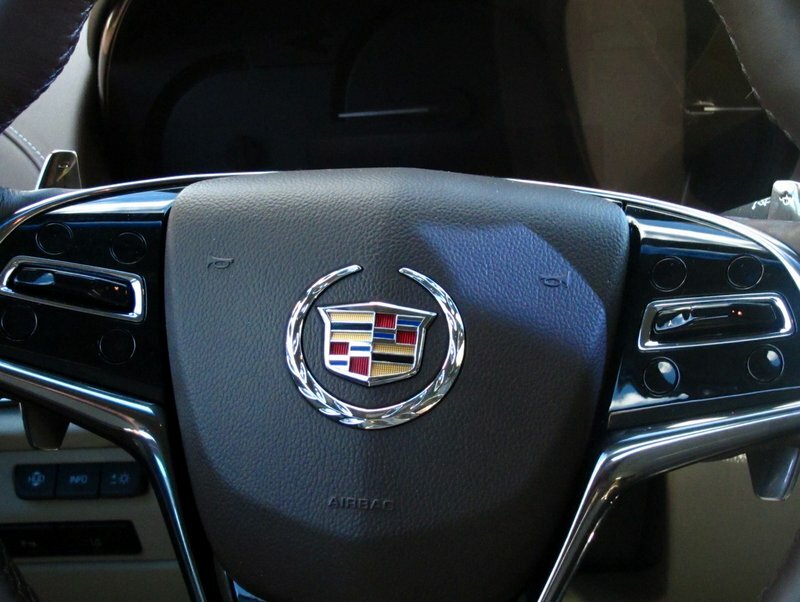 What Cadillac ATS model year and mileage can you get for your budget? The luxury sedan and coupe markets are replete with solid entries that often focus on sport and refinement. The European makes generally dominate this class, especially at the entry level where the 2015 ATS resides. The German offerings in this segment are often second to none. Against them, Cadillac has offered the ATS as a surprisingly strong rival with a unique, American take on things that brings a lot of appeal. The 2015 Cadillac ATS Coupe is all-new for this year, becoming a two-door sidekick to the ATS sedan. This new coupe is especially compelling thanks to its different approach to the luxury sport coupe market when compared to BMW and Audi, who normally own this segment. Together, the Cadillac ATS sedan and coupe offer a strong one-two punch to the luxury market. The 2014 Cadillac ATS sedan has pricing starting at $33,065 spanning all the way to a maximum of $58,780. Coming soon is a two door Cadillac ATS coupe that debuted at the Chicago Auto Show. Available in the ATS is a 2.5 liter 202 horsepower/191 lb. feet of torque 4-cylinder engine, a 2.0 liter turbocharged 272 horsepower/260 lb. feet of torque 4-cylinder and a 3.6 liter 321 horsepower/275 lb. feet of torque engine which is the unit tested here. A six-speed manual and six-speed automatic are both available and the ATS is rear-wheel drive with all-wheel drive optional on 2.0 and 3.6 liter models. Admittedly the new Corvette has the star power but it really is the Cadillac ATS sports sedan which finally brought the fight to the BMW 3-Series that is the crown jewel of the new, vital and often-times class leading General Motors. Oh wait a difference a decade makes. Scratch that, even five years ago around the time GM was going through its bankruptcy proceedings things didn't look great for any of the brands at GM. Sure, there were certain models with promise but nothing like the current Cadillac of today that boasts a full line-up of amazingly well rounded luxury and sport vehicles ranging from the SRX, all-new CTS, XTS, gas/electric ELR, Escalade all the way to the high performance V-Series. But the ATS at its launch had the biggest job of any Cadillac in recent memory—it had to prove the this brand belonged on the world stage with the best Audi, BMW, Lexus, Infiniti and Mercedes had to offer. And it did that and then some. Where the BMW 3-Series has sat for decades as the car to beat when it came to driving enjoyment, ride, handling and steering, anyone can spend just 15 minutes behind the wheel of this Cadillac and feel the engineering artistry that went into every aspect of its creation. We have driven two versions of the ATS—we drove an elegant and startlingly fast ATS Premium Collection with the 3.6 liter V6 for a week and also had the privilege of taking a Cadillac ATS Performance model with the 2.0 liter turbo and six-speed manual transmission out on a race track filled with the best sport luxury models from Germany and Japan. Despite the fact that many of the drivers on the track had more experience the perfectly honed and calibrated suspension tuning and steering response along with the deliciously easy to manipulate six-speed manual allowed us feats of driving skill we never thought we possessed. It was perhaps one of the greatest driving experiences we may ever know. Pulling the ATS 2.0 back in off the track after our laps we leapt out of the sumptuously leather lined and stylishly executed interior, took off our helmet and jumped up and down exclaiming, "We passed a BMW M3 and an Audi RS4! We passed a BMW M3 like it was standing still!" The Cadillac PR reps were no doubt pleased by our excitement but perhaps also thought the new car smell in our racing ATS had gotten us high or something. Yes, the 2014 Cadillac ATS can get you high and elevate your mood but in a totally natural way. It is, quite simply, the pathway to driving nirvana. And the best part is that the car is so fluid and easy to drive that anyone can get there. Anyone.